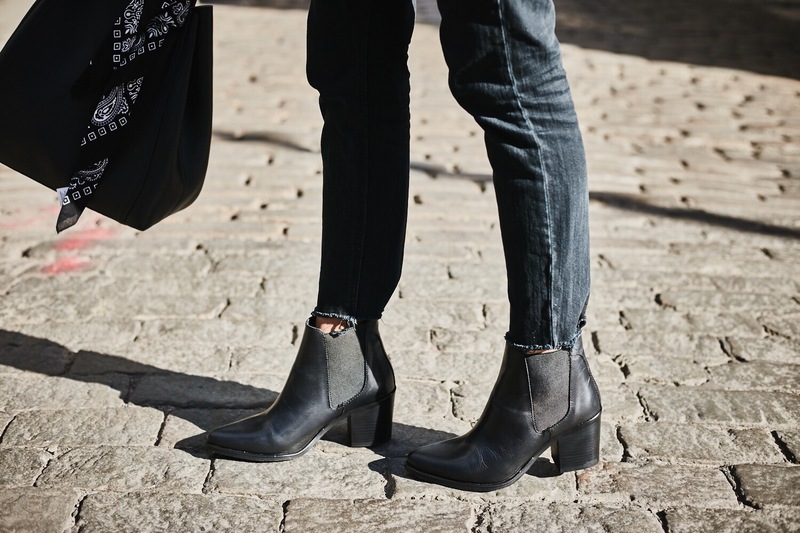 The fall to winter going-out uniform; black leather jacket, body suit, high-waisted denim and black booties. I’ve had a recent obsession with the color blush and I love how it pairs with black. Think of it as a feminine neutral to work into your wardrobe. My obsession with the color has gone further than clothing…it’s found it’s way into decorating my new apartment! For this look, I kept it simple with a form fitting body suit from Forever 21 — it has the perfect crew neck — so good that I also bought it in grey! When wearing a bodysuit, I suggest keeping the denim not as tight. The Vintage Hi-Rise in black by American Eagle Outfitters is a perfect match to balance the look. I decided fray the bottoms for some edge. Hard not to do this to all my denim at the moment. 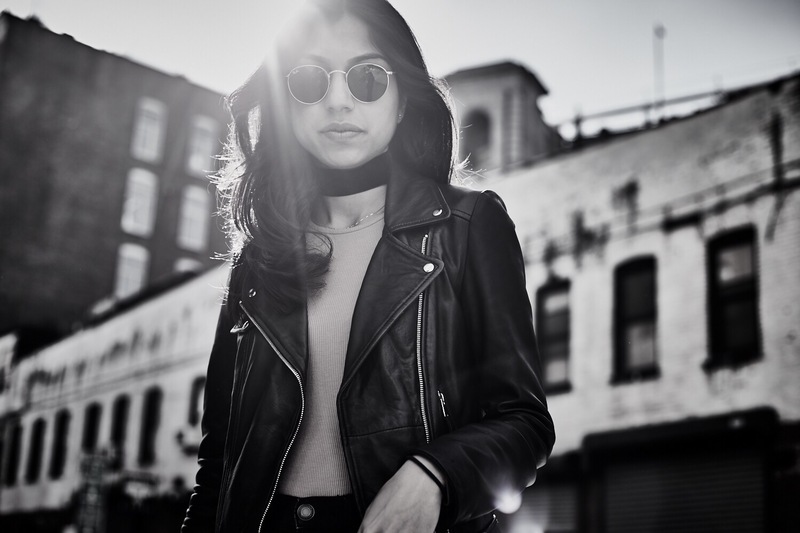 The leather moto jacket, from Zara, adds structure to my look and the perfect staple to wear out. 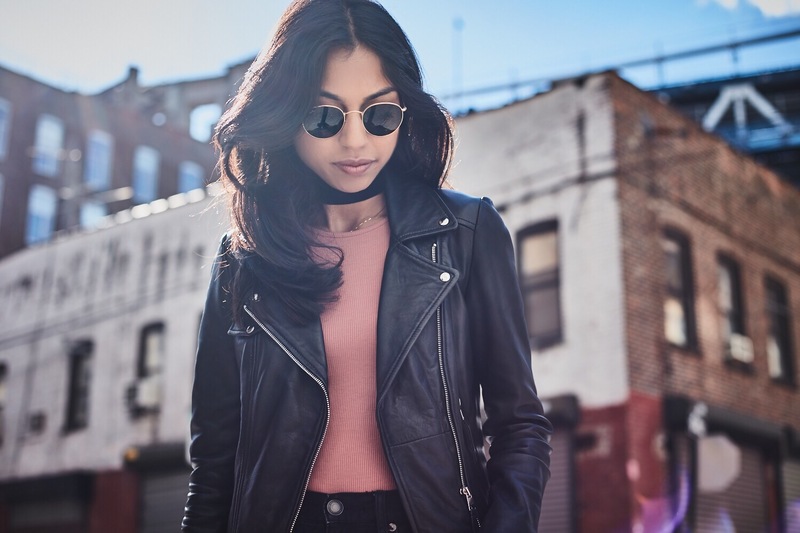 Zara makes a variety of leather jackets at very affordable prices and the fit is always amazing. I love the pointed toe and chunky heel — they are surprisingly comfortable and at 3 inches high you could wear them day to night.